This week Will Leschber remembers Wes Craven, a master passed, and also remembers why you should catch Don’t Fall Asleep before it’s too late! So I was never much of a horror guy. Sure, I love the classic line from Heart of Darkness/ Apocalypse Now where general Kurtz reaches the end of his exquisite journey into madness and on the very brink of death utters the oh so prescient words…”the horror…the horror.” But that’s not what I mean! I mean the horror genre; Of film or theater for that matter…albeit the latter is much less prevalent. While I loved late night, Elvira showcases of old horror films as a adolescent, or even the endless slasher franchises of sleepless sleepovers growing up, the horror genre seemed to stuffed full of empty, bloody, redundant, cliche, low rent, low quality black holes of cinema more interested in making a sequel and a quick profit rather than anything resembling cinema substance. Oh course, like most tweenagers, I was wrong. Although horror is still not my preferred genre, I have come around to recognize the pillars of the genre for being quite remarkable with innovation and craft: Hitchcock (Psycho, The Birds, Frenzy) Tod Browning (Freaks), James Whale (Frankenstein, Bride of Frankenstein), Toby Hooper (Texas Chainsaw Massacre), David Cronenberg (The Fly, Scanners), Dario Argento (Suspiria), George Romero (Night of the LIving Dead), John Carpenter (The Thing, Halloween)…and of course the late, great Wes Craven, who passed at age 76 on August 30th. So many of these directors defined the period and genre they worked in. Many transcended the confines of a singular genre to branch into further cinematic influence. Craven wasn’t the first to set and break the mold for this, yet he continued the legacy like great filmmakers before him. 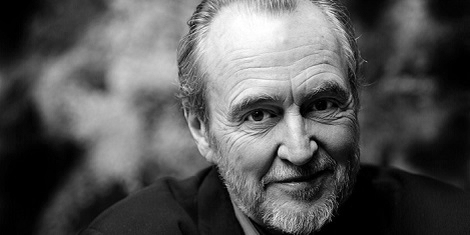 Wes Craven not only made his mark in film; he set the lacerating edges and vicious tone of what a period horror film was decade after decade. In the 70’s the brutal, all too realistic, edge of snuff film quality that defined 70’s horror was cemented by Craven’s directorial debut, The Last House on the Left. Watching the punishing film felt like looking at something secret and awful that we should not be privy to. The 80’s ushered in an era of slasher personalities the likes of Jason Voohees, Michael Myers and none other than the the dream-demon himself, Freddy Krueger. In A Nightmare on Elm Street (1984), there was no escaping the slumbering boogeyman that lay dormant at the edge of your eye lids. Then again as time flowed forward and the 90’s opened up the meta-horror narrative, Scream (1996) flipped the genre tropes upside down, dissecting them and disemboweling them to the delight and horror of a new generation. 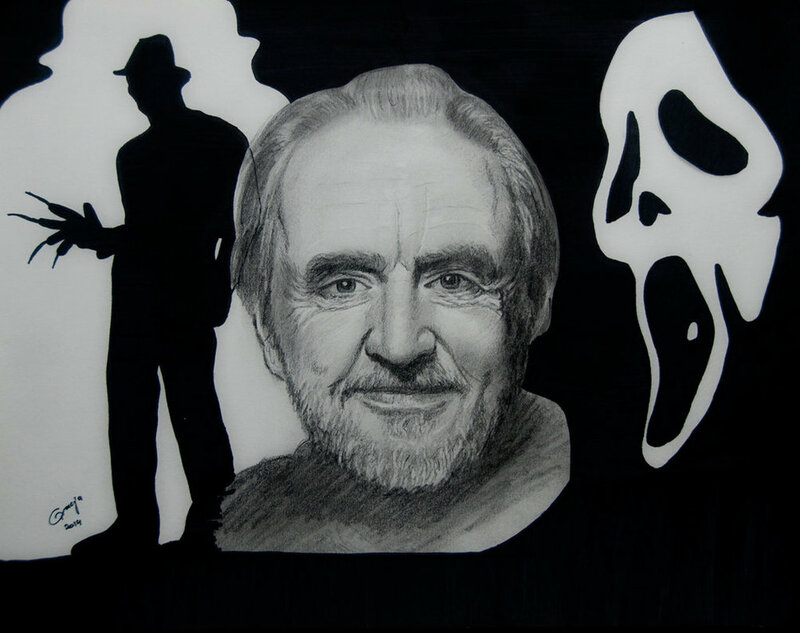 We’d moved into a new era of horror and Wes Craven again was at the forefront. Scream proved a intelligent beast able to tear apart what we’d come to expect from a horror film, while finding new ways to terrify. Who better than a master craftsman to reinvent and redefine what it means to be an influential and lasting horror film. Craven knew how to turn the knife. If all this talk of night terrors and horror sleep-scapes has whet your appetite, you should pair these gruesome film offerings with tonight’s Theater Pub: Explore the Trope: Don’t Fall Asleep. Wes Craven’s influence spans far and wide and while this theater offering may not be slasher fare, the unsettling nature of life on the other side of slumbering consciousness is cut from the same vein. Freddy Krueger used dream-logic and childhood fears as daggers in his arsenal and Christine Keating, author of Don’t Fall Asleep three part showcase, uses these things with a little extra helping of abduction, witch-ridden folklore, and the paralyzing shadows know only to our sleeping selves. I’ll check in tomorrow with Christine Keating about her frightful film recommendations to pair with her show, Don’t Fall Asleep. Until then come see tonight’s show and if you get too scared, repeat after me …It’s only movie. It’s only a movie. It’s only a movie…It’s only play. It’s only a play. It’s only a play…don’t fall asleep!